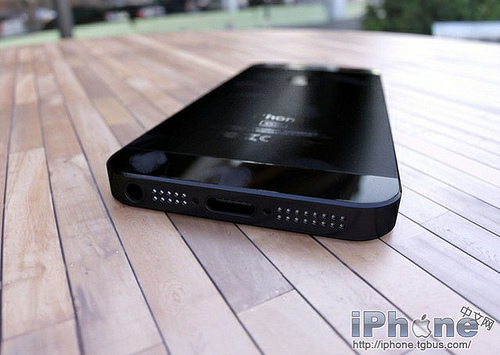 iPhone 4S successor rumored to be launched late 2012. 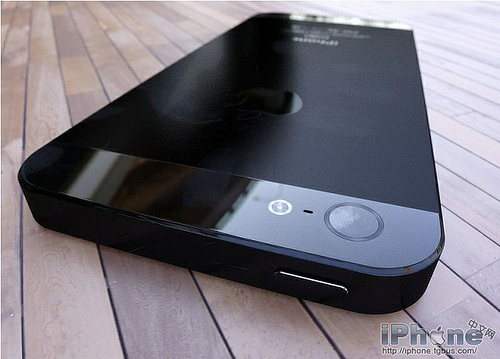 Rumors about the iPhone 5 continued to arrive, and this time the photographs circulate on the Internet that claimed as the final design of the iPhone 5. 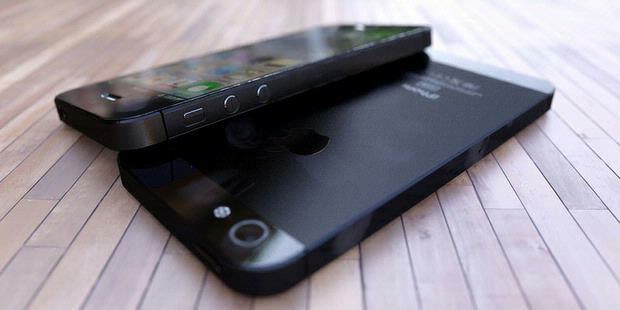 The photo shows the iPhone 5 is not much different from the previous generation, iPhone and iPhone 4S 4.
iPhone 5 look bigger. The front is dominated by the glass. 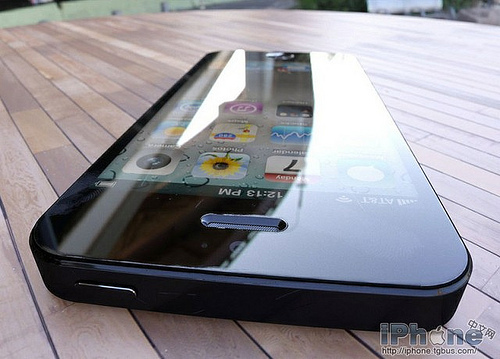 While the rear is dominated by metal materials, glass materials exist only in the top and bottom. The back of the top there are two circles of different sizes, which apparently is the camera and LED Flash. 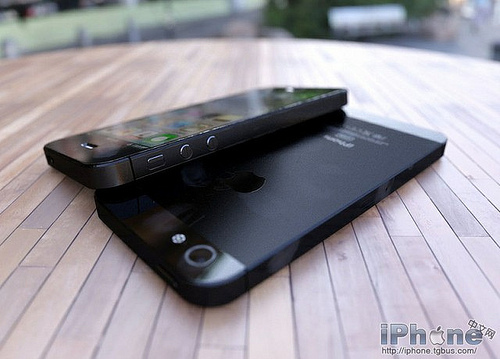 The photos also show the bottom of the iPhone 5. Connector to plug the data cable and charger looks smaller than the previous series. There is also a speaker, microphone and audio jack on the bottom side. On the top there is only the power button. Then on the left side there are volume buttons and levers to adjust the mute and vibrate.